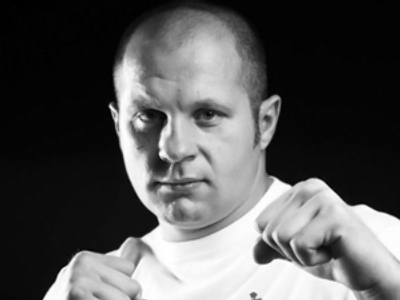 Some of the world's best up-and-coming Mixed Martial Arts fighters descended on Moscow for the M1 Selection finals, giving the sluggers the chance to impress in front of the greatest of them all – Fyodor Emelianenko. For the fighters competing, Moscow provided them with the perfect chance to try and further their Mixed Martial Arts careers. Victory in Moscow would be enough to book them a place in the overall grand final, and the chance to perhaps one day emulate Fyoder Emelianenko – one of the greatest MMA fighters of all time. One man who was able to book his place in the finals was Mairbek Taisumov. Taisumov, 20, was born in Chechnya and emigrated to Austria. He now competes for the Czech Republic. “This competition is great, as it brings together talented fighters from around the globe. This is especially the chance for the Russians as this tournament gives them the perfect chance to off their skills to a wider audience,” Taisumov said. There were ten places up for grabs in the championship, at the event – five from the Eastern European Group and five from the Western European Group. The remaining ten spots will be filled following the American and Asian finals. For the likes of Spain's Abner Lloveras, who is skilled in Muay Thai, Jujitsu and wrestling, his victory in Moscow could be his ticket to a professional career. “I am fighting and I have to work to afford for it. I work from Monday to Friday to Sunday get food and earn money for training. This is Spain,” he said. There were five different weight categories, ranging from middle to heavyweight. The sport, which combines a number of different martial arts disciplines, ranging from Judo to Karate, has grown at a phenomenal pace over the last few years. Now it rivals the likes of boxing and professional wrestling in terms of popularity. “I did boxing. I did wrestling. No money here, no money there. Everybody told me go and do MMA. Everybody is watching it,” Lloveras added. Russia has some of the world's strongest mixed martial arts fighters and with the country taking five places at the Grand Final – there is a distinct possibility that one of them, if not more, could go on to rival the success of Fyodor “the Last Emperor” Emelianenko.